Since its development in 1999 at Bigelow Laboratory for Ocean Sciences in Boothbay Harbor, Maine, the FlowCam has evolved from its roots in the study of phytoplankton in the Gulf of Maine. 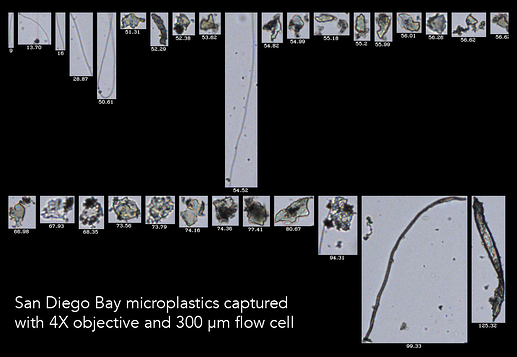 The FlowCam has been used for many other aquatic applications from aquaculture to wastewater analysis, ballast water testing and research to paleolimnology, microplastic analysis and invasive species detection. The FlowCam is ideally suited to analyze microscopic and macroscopic organisms and particles in water. 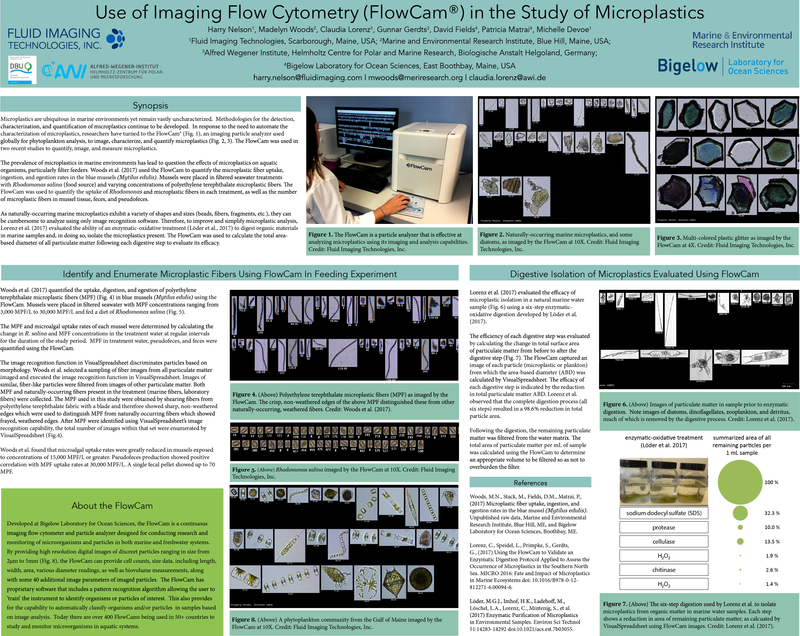 The FlowCam combines microscopy, flow cytometry, and image recognition to analyze a myriad of microscopic particles and organisms. How will you know if the FlowCam will work for you? 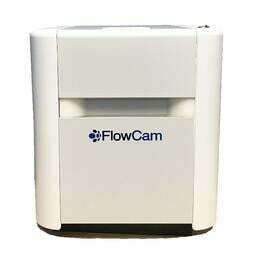 Send us a sample for us to analyze on the FlowCam. We will share the results and teach you how the FlowCam can be used for your intended application. The FlowCam captures high-resolution, digital images of particles suspended in a liquid medium. Over 40 physical parameters are measured from each image, and the data is processed using our image-recognition statistical analysis software, VisualSpreadsheet®. Use digital images to verify the size, shape, and identity of your organisms and particles. How Does the FlowCam Work? Data are analyzed using VisualSpreadsheet, either on the FlowCam or a personal computer. Image libraries and statistical analysis techniques enable identification and classification of taxa. Reports can be exported to Excel in CSV format. 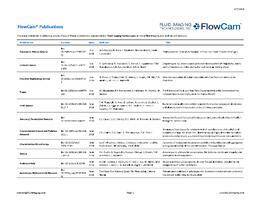 Visit Resources for Other Aquatic Applications page for guides, posters, articles, and more. Has the potential to rapidly process large the volumes of meiobenthos samples that are required when monitoring seasonal and spatial variation in ocean ecosystems and conducting long-term environmental impact assessments." —Kitahashi et al., A new method for acquiring images of meiobenthic images using the FlowCam, MethodsX 5, 1330-1335 (2018). For particles 2 µm to 1 mm. Several fluorescence detection options available. Compatible with FlowCam Automated Liquid Handler. Wonder if the FlowCam 8000 Series will work for you? For particles sized 300 µm to 5 mm. Uses an external peristaltic pump rather than an internal microsyringe pump. Wonder if the FlowCam Macro will work for you? 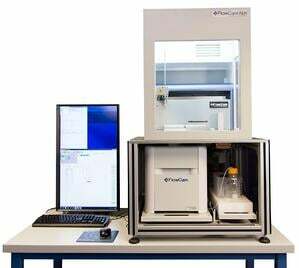 For high-throughput, unsupervised sample analysis of up to ninety-six 1-mL samples. Compatible with the FlowCam 8000 Series. Wonder if the FlowCam ALH will work for you? Schedule a demo in the Fluid Imaging Technologies Lab. Our proprietary image analysis software VisualSpreadsheet performs image recognition, particle measurements, statistical analyses, data collection, and enables data manipulation. 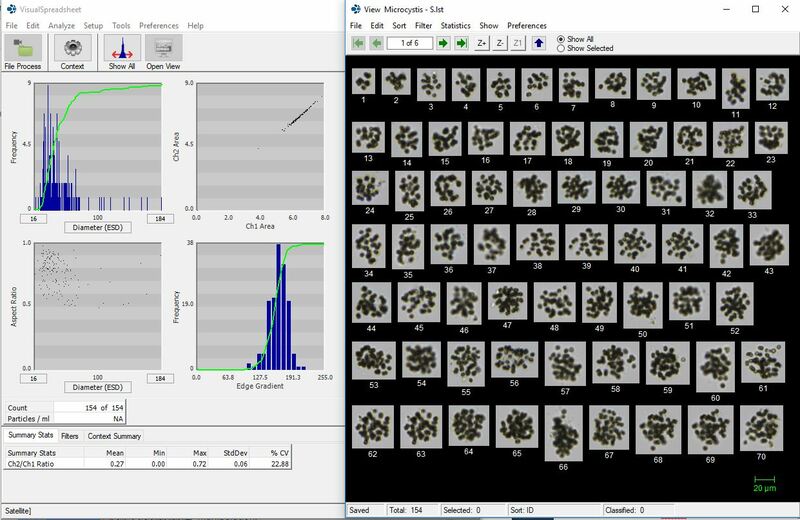 With VisualSpreadsheet, which is included with every FlowCam, you can create image libraries, digital filters, and use machine learning for auto-classification of different particle types. View data in VisualSpreadsheet or export to CSV format. Visit the VisualSpreadsheet page for more information. Visit Resources Page for Other Aquatic Applications for guides, posters, articles, and more.